St. Martin's Paperbacks, 9781250076076, 368pp. 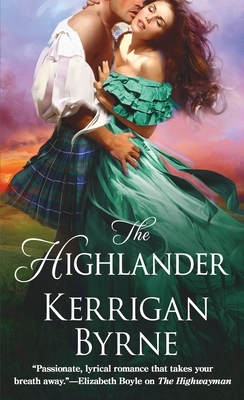 In The Highlander, a stunning, gorgeous Victorian romance from Kerrigan Byrne, can the fiercest master of battle conquer a woman’s heart? Defying all expectations, Miss Philomena is no plain-faced spinster but a ravishing beauty with voluptuous curves and haughty full lips that rattle the Laird to his core. Unintimidated by her master’s raw masculinity and savage ways, the headstrong lass manages to tame not only his wild children but the beast in his soul. With each passing day, Liam grows fonder of Miss Mena—and more suspicious. What secret is she hiding behind those emerald eyes? What darkness brought her to his keep? And how can he conquer this magnificent woman’s heart . . . without surrendering his own?